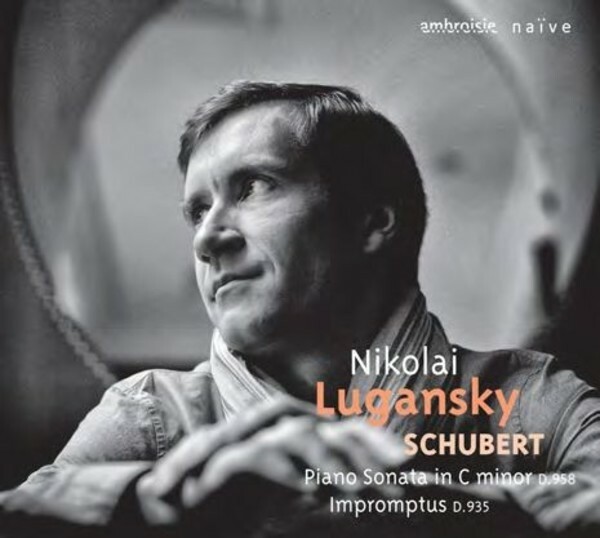 For his first Schubert recording, Nikolai Lugansky has chosen one sonata and four impromptus from the late output of the iconic Viennese composer. Schubert composed his last three piano sonatas in Vienna during the summer of 1828, shortly before his death on 19 November at the age of 31. The first of the three, in C minor D958, is the most impassioned, and the power and dark energy emerging from its four movements are reminiscent of Beethoven. After the latter�s death on 26 March 1827, Schubert felt liberated from the weight of idolatry and composed such masterpieces as these final sonatas, the Lieder cycle 'Winterreise', and the 'Impromptus' for piano, the last four of which are also featured on this recording. The elegance and technical prowess of Nikolai Lugansky�s playing are perfectly suited to these masterpieces.